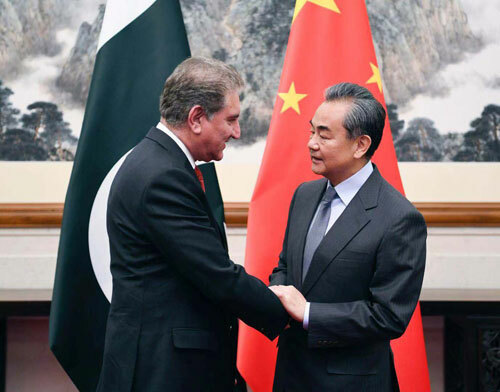 On December 25, 2018, State Councilor and Foreign Minister Wang Yi met with Foreign Minister Makhdoom Shah Mahmood Qureshi of Pakistan in Beijing who made a special trip to China. The two sides had in-depth discussions on the latest developments of the situation in Afghanistan and reached broad consensus. The two sides agreed that military actions will not help solve the Afghan issue and political reconciliation is the only practical and viable way out of it. The two sides welcomed the miscellaneous efforts made by all parties and expressed commitments to staying in close communication and strategic coordination. The two sides also agreed to deepen China-Pakistan all-weather strategic cooperative partnership and continuously elevate all-around cooperation.